SEPT. 28, 2018 — NOAA’s Office of Response and Restoration continues to support the U.S. Coast Guard’s pollution task force mission assignment to remove vessels and containers that sank or were stranded by Hurricane Florence. Hurricane Florence aftermath at Topsail Beach, North Carolina. Image credit: U.S. Army Corps of Engineers. The task force has identified 223 vessels in North Carolina impacted by the hurricane that hit the East Coast earlier this month. This number is expected to grow as initial assessments continue. NOAA is providing scientific and technical aid, including geographic information system (GIS) support, to the incident command. The vessels discovered during the initial assessment — the majority of which are recreational vessels — are being tagged with a sticker requesting owners to contact a hotline to report the vessel’s salvage or request assistance. Vessels actively leaking pollution are the highest priority. Vessels that are sunk or damaged will be mitigated to avoid pollution release and may be relocated to avoid becoming a future hazard to navigation. NOAA teams expect to remain on scene for at least several more weeks. The Coast Guard continues to survey waterways and place stickers on vessels advising the owners on their options and actions they need to undertake if they elect to remove their own vessels properly. The goal is to recover property with minimal environmental impact. 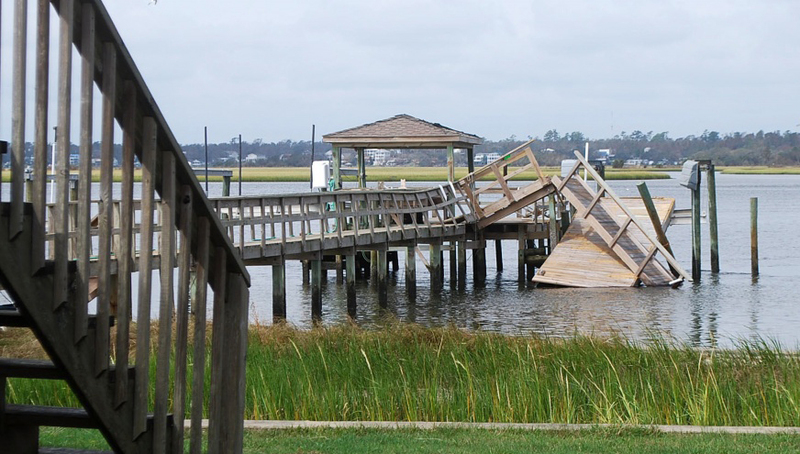 ESF-10 partner agencies have issued guidance for vessel owners who wish to remove their boats damaged by Hurricane Florence from local waterways. The Coast Guard has estimated that the majority of vessel owners, roughly 80 percent, will likely remove their own vessels — making the issued guidance an important component for pollution mitigation. Anyone witnessing an oil spill, chemical release, or maritime security incident should call the National Response Center hotline at 1-800-424-8802. Any containers smaller than 55 gallons (approximately two feet wide by three feet tall) should be reported to the North Carolina Department of Environmental Quality or local municipal waste facilities. Owners of storm-impacted vessels can contact the teams at 757-355-1042 to report their salvage plan or request assistance. View the most recent Coast Guard press release for more information.